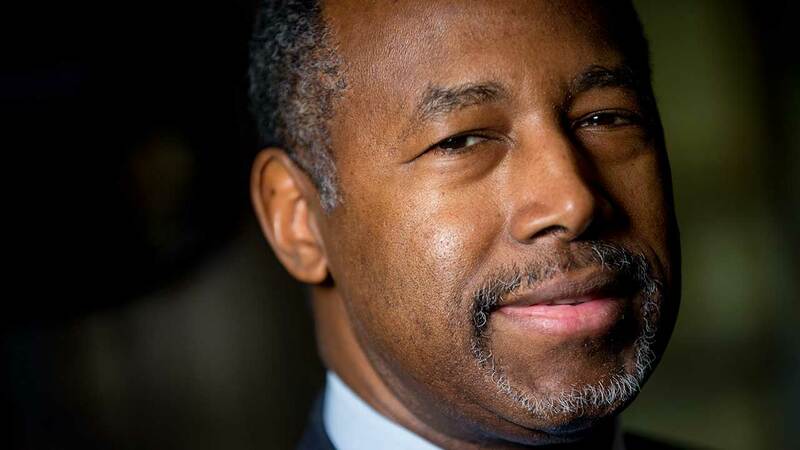 DES MOINES, Iowa -- Several top aides to Republican presidential candidate Ben Carson resigned on Thursday, citing frustration with the influence of the retired neurosurgeon's business manager and questioning his readiness for the White House. Barry Bennett and Doug Watts, both seasoned political operatives, stepped down with less than five weeks before voters in Iowa begin the nominating process with the state's Feb. 1 caucuses. Bennett was Carson's campaign manager. Watts was communications director. But Bennett said Carson's longtime business manager, Armstrong Williams, is the adviser who has Carson's ear, even though Williams does not have a formal role in the campaign. Carson is "one of the smartest men I've ever worked for," Bennett said, but added that he believes Carson has become Williams' "script reader." Bennett said that made it difficult to advise Carson and raised questions in his mind about what kind of president Carson would make if elected. "You have to surround yourself with good people," Bennett said. "And he hasn't demonstrated that he can do that. No one wants Armstrong Williams anywhere near the Oval Office." Williams replied Thursday: "Barry and I agree. I will be nowhere near the Oval Office when Dr. Carson is elected president. I will remain in my private practice." Williams also disputed Bennett's characterization that his influence is inappropriate. "I don't think any one person should have the candidate's ear," Williams said. "I think he should listen to a multitude of advisers, inside the campaign and outside the campaign." Carson's campaign released a statement Thursday describing staff changes as "enhancements" that "will shift the campaign into higher gear." Along with Bennett and Watts, deputy campaign manager Lisa Coen also left. Retired Army Major Gen. Robert Dees, who has been advising Carson on foreign policy and military affairs, will serve as campaign chairman. Ed Brookover, formerly a senior strategist, will serve as campaign manager. In Iowa, where Carson is trying to appeal to the large number of evangelical voters who take part in the state's leadoff caucuses, his state-based staff said the shake-up at campaign headquarters would have little or no impact on their organization. "Whatever the issue was at the national level, it does not affect us at the Iowa level," said Rob Taylor, a Republican state representative and Carson's campaign chairman in the state. The staff turmoil at the highest reaches of the Carson campaign is the latest setback for his presidential bid, which displayed significant fundraising power this summer and for a brief time was atop some preference polls. But as quickly as Carson rose to the top of the GOP field, he began to falter. Bennett says Williams led Carson into multiple mistakes, particularly in the last two months as Carson struggled to establish foreign policy credentials amid increased voter concerns about national security. Bennett and Watts' decision to leave the campaign came a week after Carson told The Associated Press in an interview that he was considering a major staff shakeup, only to walk back those comments hours later, declaring that he had "full confidence" in his team. Williams arranged for that interview without Bennett's knowledge. Carson's subsequent statement of support for his team was issued after discussing his initial comments with Bennett and Watts, but Bennett said Thursday that those events were evidence his place in the campaign had become untenable. Carson "told everybody else 'nobody wants staff changes,'" Bennett recalled. "Why the hell did you say it then? Armstrong had given him the talking points." The interview "was Armstrong's calculation against us," Bennett said. "Ben was just the script reader. It was horribly embarrassing to us, the whole campaign staff. One hundred fifty people went home for Christmas with their families wondering whether they would keep their jobs. Excellent timing." Bennett described Carson as "surprised" by the resignations. Williams, who says he spoke with Carson after the candidate spoke with Bennett, described Carson as "calm, confident, reassured and ready to move forward." "This allows Dr. Carson a fresh start," Williams said. Williams said he spoke with Dees, the new campaign chairman, on Thursday and described their relationship as "wonderful." "I've spoken with the good general, congratulated him," Williams said. "We've been with Dr. Carson since the beginning of this operation." Taylor said the campaign turnover was not unexpected and that Carson is actively engaged with the decision making. It helps that Carson's Iowa campaign director, Ryan Rhodes, will remain in his position and perhaps take on greater responsibilities, Taylor said. "We've been moving forward in Iowa the whole time," Taylor said.